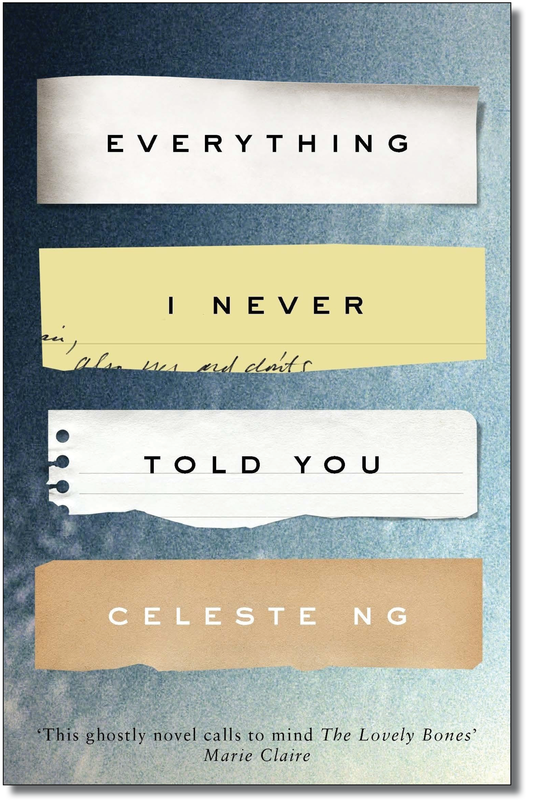 Celeste Ng’s first novel, Everything I Never Told You (2014), is deftly wrought and deeply complex. A well-executed literary thriller examining the unexpected death of the favored daughter of the only mixed-race family living in Middlewood, Ohio, in the 1970s, it was a sensation six years in the making. The novel holds back the truth until the last possible moment (and beyond), the reader left gasping after each chapter’s revelations about the cost of familial interdependence, the weight of expectations, and the price of perfection. When Ng’s second novel, Little Fires Everywhere, was published this fall, this reader was cautiously optimistic. Would Ng bypass the second-novel slump? Could she write another book as richly layered and profoundly insightful as her first in less than half the time? Could she continue to make the Asian American experience fresh and accessible? Ng’s debut novel showed us that perhaps her greatest asset is her profound insight into the workings of the inner life, an asset typically not explored fully in the thriller genre. In Little Fires Everywhere, a literary novel, Ng employs her greatest asset with remarkable success. The novel’s omniscient third-person narration speaks from a multiplicity of perspectives: Ng juxtaposes the Richardson family, exemplary residents of the wealthy, utopic suburb of Shaker Heights (where “no one sees race”), with an itinerant, artistic Asian American mother, Mia Warren, and her brilliant daughter, Pearl. Both families live within carefully prescribed rules and regulations: the Richardsons’ goal is to “avoid the unseemly, the unpleasant, and the disastrous,” while the Warrens risk the same to pursue their fullest potential. In an interview with TIME, Ng explained that Little Fires Everywhere is not intended to be a story where there is “a villain or a hero,” but rather a story wherein she could “show how incredibly complicated the situation” is. She comes close, tantalizingly close: Ng favors the daring but humanizes those who sink into the comfort of the mainstream. In a mere half paragraph, Ng (via Pearl) confronts the allure of mainstream living. Pearl, who has spent her life traveling from town to town in service of her mother’s art career, and whose own house doesn’t have a “real sofa,” finds at the Richardsons’ home “overstuffed sofas so deep you could sink into them as if into a bubble bath. Credenzas. Heavy sleigh beds. Once you owned an enormous chair like this . . . you would simply have to stay put. You would have to plant roots and make the place that held this chair your home.” At times, Little Fires flirts dangerously with moralizing, but it is redeemed by Ng’s refreshingly complex narrative, her repeating, rebounding imagery, and her attention to detail. Both of Ng’s novels are driven by forces of destruction. In Little Fires Everywhere, there are fires, both literal and metaphorical. In Everything I Never Told You, the cold, thousand-feet-wide Middlewood Lake reaches out to drown the protagonist. While Little Fires both stokes the embers and dampens the fires at will, the mounting revelations of Everything leave the reader cold and full of dread. Everything is much more than a thriller about the death of an Asian American teenager; Ng uses each perspective to paint the tilted orbit of the Lee family, to challenge the stereotypes of mixed-race marriages in the 1970s, to dissect the American dream, to examine authentic teenage angst, and, through it all, to illuminate the invisible and unknowable: the reason for Lydia’s death. Whenever [Nath] remembered this moment, it lasted forever; a flash of complete separateness as Lydia disappeared beneath the surface. Crouched on the dock, he had a glimpse of the future: without her, he would be completely alone. In the instant after, he knew it would change nothing. He could feel the ground still tipping beneath him. Even without Lydia, the world would not level. He and his parents and their lives would spin into the space where she had been. They would be pulled into the vacuum she left behind. More than this: the second he touched her, he knew that he had misunderstood everything. When his palms hit her shoulders, when the water closed over her head, Lydia felt relief so great she had sighed in a deep choking lungful. She had staggered so readily, fell so eagerly, that she and Nath both knew: that she felt it, too, this pull she now exerted, and didn’t want it. That the weight everything tilting toward her was too much. . . .
At bedtime, Nath and Lydia brushed their teeth sociably at the sink, taking turns to spit, saying goodnight as if it were any other night. It was too big to talk about, what had happened. It was like a landscape they could not see all at once; it was like the sky at night, which turned and turned so they couldn’t find its edges. It would always feel too big. He pushed her in. And then he pulled her out. All her life, Lydia would remember one thing. All his life, Nath would remember another. Little Fires Everywhere rewards the discriminating reader; Ng is more polished as she layers her novel, balancing accessibility and complexity. A surface read captures the essence: a high-minded, utopic suburb trying to mindfully confront racism and equality in the 1990s. Ng’s penchant for details bolsters the novel’s setting: her characters watch Jerry Springer religiously, shop from Delia’s catalogs, and hang out at the mall, frequenting Gap, Express, and BodyShop. Ng’s recurring images—fires, suburban streets and tree lawns, works of art, a hospital poster warning Anger is the Bodyguard of Fear—draw her readers into deeper questions about the characters’ choices and about our own inner lives: When does curiosity become malevolent? Is Mia’s art a product of her perspective or the catalyst of change? Is Pearl’s trade of a transitory life for the fixedness of the Richardsons’ embrace a desirable outcome? What does it mean to be generous? it was the kind of tenant that mattered to Mrs. Richardson. She wanted to feel that she was doing good with it. Her parents brought her up to do good . . . she rented only to people she felt were deserving but who had, for one reason or another, not quite gotten a fair shot in life. It pleased her to make up the difference. Perhaps [Elena]’d honestly wanted to help, perhaps she’d been motivated by kindness. But even so, she’d been keeping a running tally of everything she’d ever done for Elizabeth, too, every bit of support she’d given, and now she expected to be repaid. Elena thought she was owed this, Elizabeth realized suddenly; she thought it was a question of fairness, about getting what she deserved under the rules. In an act of generosity, Ng concludes Little Fires with kindness, with gifts from Mia to the Richardsons: “There was one for each of them. Mia had stacked them neatly inside: half portraits, half wishes, caught on paper. Each of the Richardsons . . . knew which was meant for them, recognized it instantly, as they might have recognized their own faces.” After the final fire, the Richardsons have a chance of rebirth as Mia’s art renders their true selves visible and their potential viable. It is a marker of Celeste Ng’s talent that her books not only hold their own in the Asian American literary canon but beautifully contribute to it. 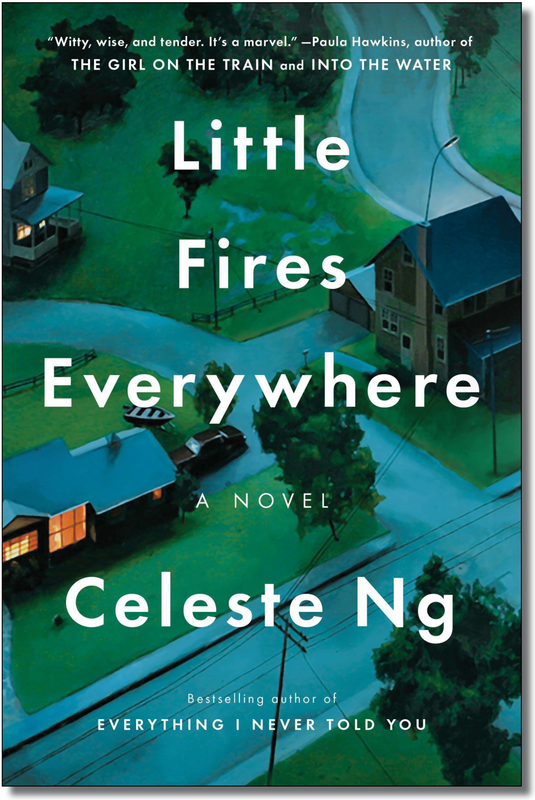 Beneath the marvelously constructed exteriors, Everything and Little Fires are coming-of-age novels about Asian American families. Both novels are fresh additions to this genre. Set in the 1970s and 1990s, respectively, they examine a tighter intermeshing of the Asian American family with dominant American culture, and also confront timely topics such as effects of zoning, bullying, helicopter parenting, and high-stakes college admissions. Little Fires Everywhere is an excellent novel, driven by a powerful plot, oriented by specific details, and renewed through fire. Rather than succumbing to the second-novel slump, Celeste Ng capitalizes on her uncanny insight into the American inner life and delivers a novel more complex and more complete than her first. Accessible and engaging above all, Ng proves she can work fires with the same eloquence as cold, still water. CHRISTINA ASHIE GUIDRY is an attorney practicing in Tennessee. She holds a BA in English and an MA in comparative literature and cultural studies from Texas A&M University, and a JD from the University of Virginia School of Law. Everything I Never Told You. By Celeste Ng. Penguin Press, 2014. Little Fires Everywhere. By Celeste Ng. Penguin Press, 2017.